Published August 15, 2018 Filed under Government, Politics. Total of no comments in the discussion. If you’re starting to get the idea that Omarosa Manigault-Newman is a reckless person – not only with her words but also with the broader decisions she makes in her life – I think you’re getting the idea. It’s one thing to go around making statements and claiming people can corroborate you – when you haven’t talked to them and they have no intention of doing so. It’s a few steps even beyond that to do so when you ought to remember you signed an non-disclosure agreement that would put you in legal jeopardy if you engaged in such behavior. 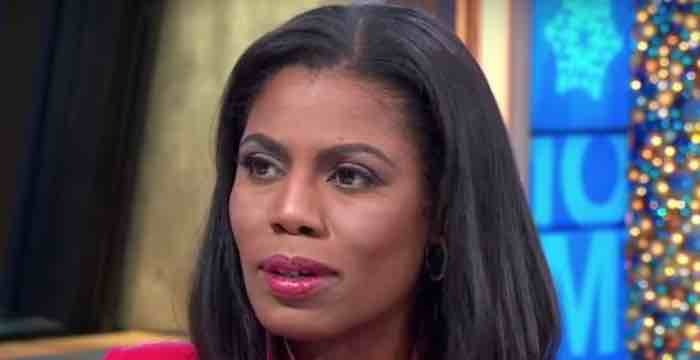 U.S. President Donald Trump’s campaign has filed an arbitration against former White House aide Omarosa Manigault Newman for allegedly violating a nondisclosure agreement, ABC News reported on Tuesday, citing a senior Trump campaign official. Do note: The fact that she violated an NDA doesn’t mean that what she disclosed was true. It means you’re not supposed to run around talking about certain things, and you agreed in advance that you would be subject to legal sanctions if you did. That is one of the defenses you’ll hear of Omarosa on the part of Trump-haters: If they didn’t want her to disclose it, they must be afraid of what she had to say! It doesn’t work that way. Action against an NDA violator doesn’t automatically mean the statements made are true. It simply means they made representations about things she had agreed to keep confidential. Manigault-Newman seems like the type of person who isn’t really sure what she believes from one week to the next. Whoever was the last person to flatter her or piss her off probably determined her life’s philosophy for the moment. But she knows the media hate Donald Trump so she obviously figures she can get lots of fawning coverage from them if she trashes him. She can, and she is. But that might not be worth as much as she thinks, whereas the legal trouble she’s in now appears very much for real. Might be something you’d want to think about before you run around trashing the people you used to claim to love.